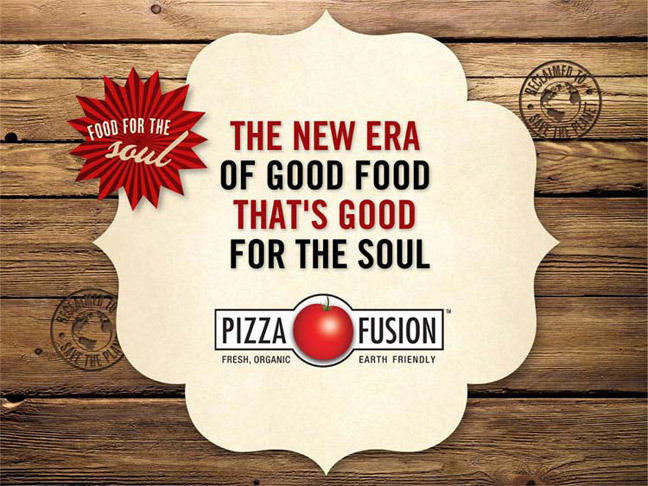 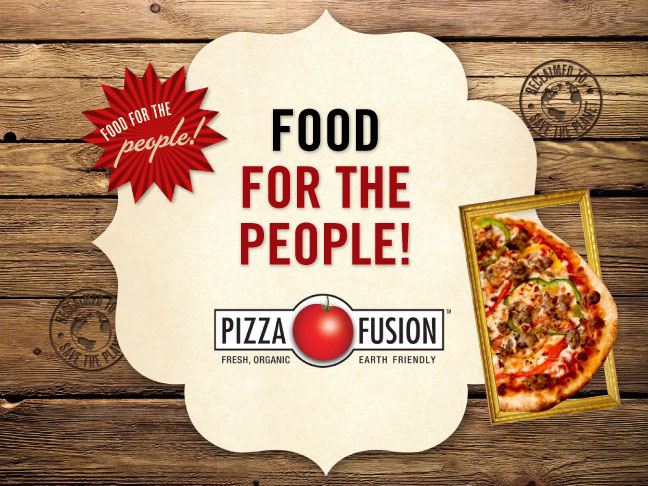 Pizza Fusion focuses on organic and healthy pizza, meeting specific dietary needs, such as gluten-free. 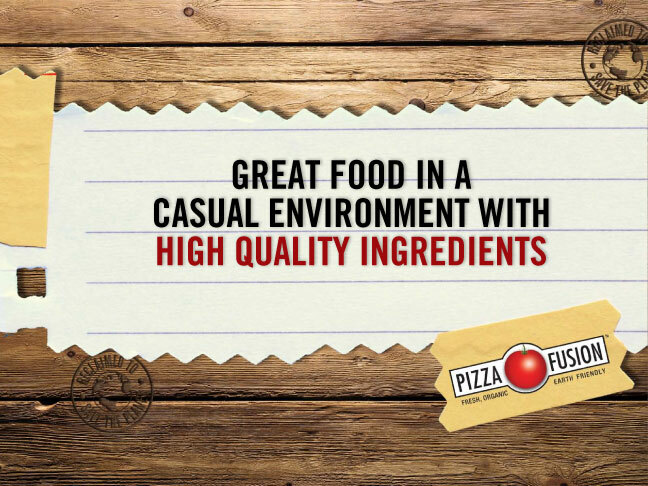 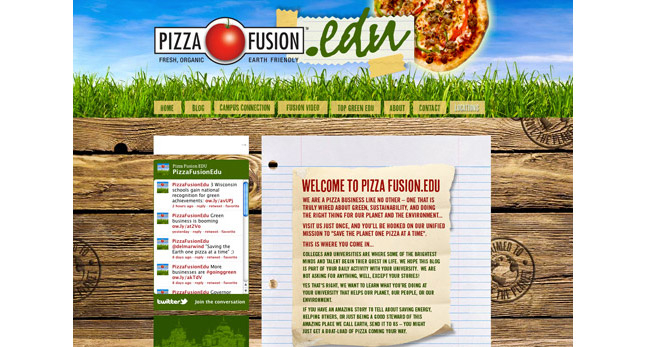 Design and development of Pizza Fusion college site. 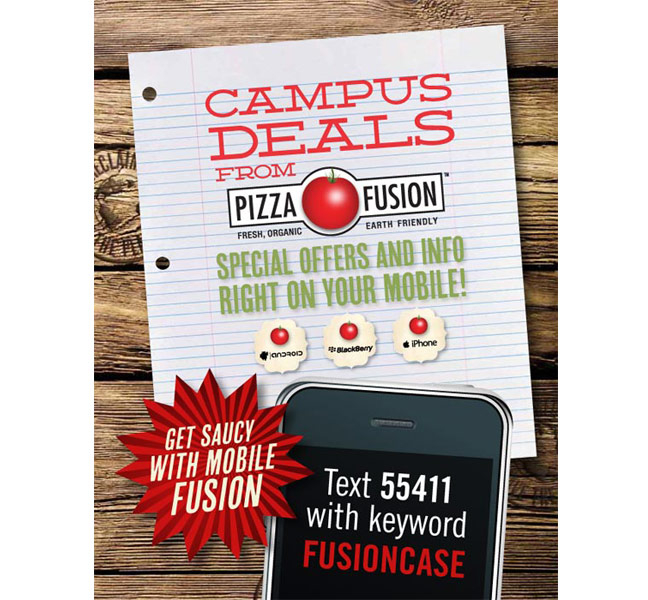 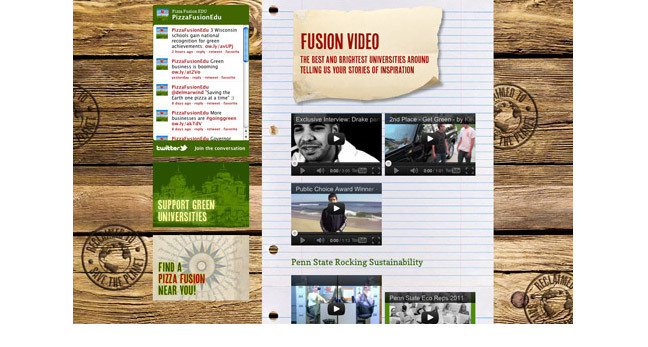 Pizza Fusion opened locations on campuses, and this site was targeting students. 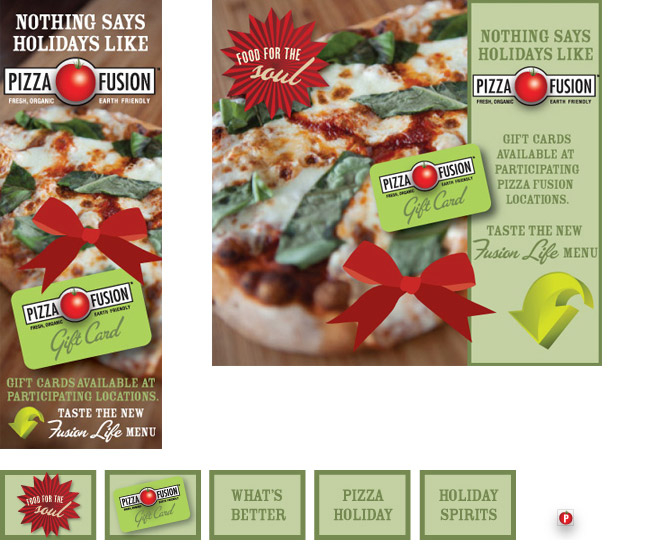 Additionally, a printed sign, and video slides. 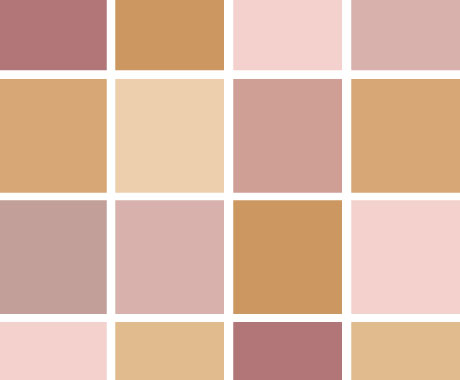 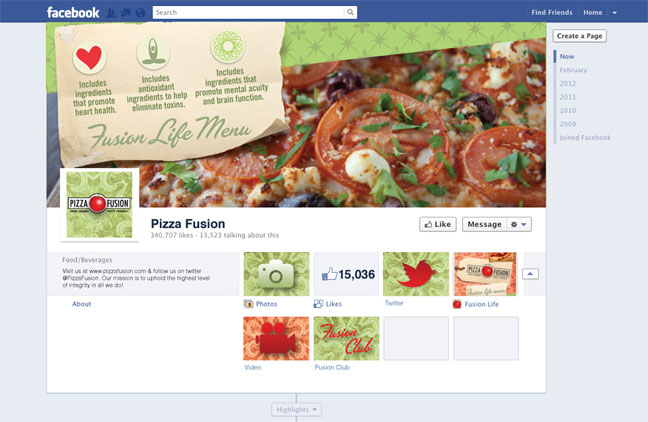 Plus, design of Facebook elements for Pizza Fusion.